Get excited, because this scrunchy is the answer to all your tichel bun dreams! A sister to the Oomphtastic Scrunchy, the Perfect Pouf Scrunchy is the perfect way to add volume and save your hair! 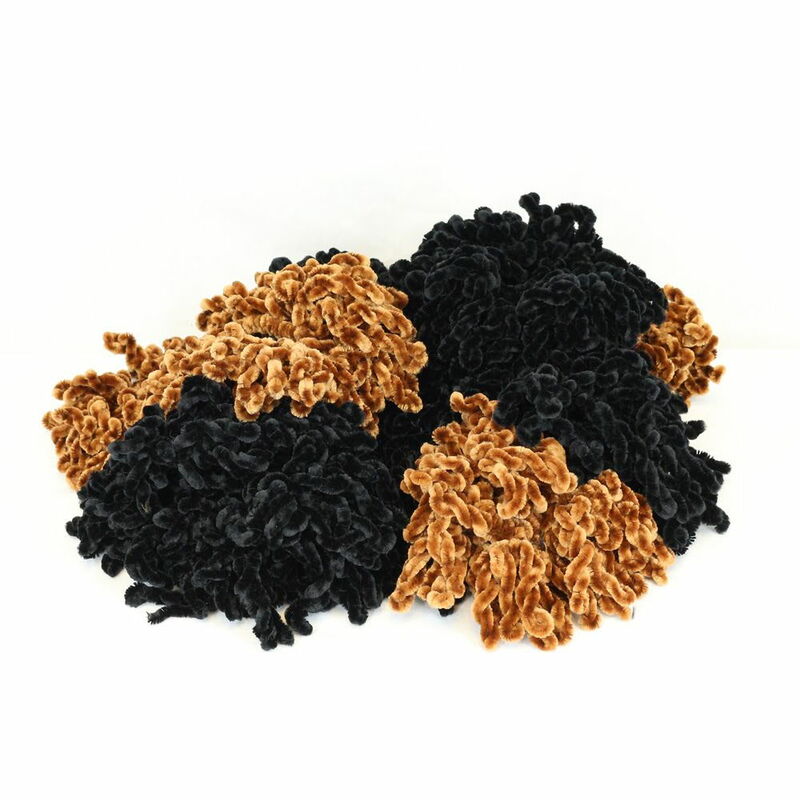 Made of twisted velvety strands, this scrunchy is lightweight and can be easily added under any shaper, without having to spend time removing or adding stuffing each time you want to change your look. The Perfect Pouf Scrunchy also works well for looks without a shaper as well – just wrap it around your ponytail, add a No-Slip Headband, and you’ll be ready to wrap! Using the Perfect Pouf Scrunchy instead of a hair elastic is also a great way to take the tension off your head and save your hair! Simply use it to make a messy bun with your hair, and you’ll be ready to wrap! I purchased this scrunchy in black. It was in your last sale and at the price I felt it was worth a go. My hair or lack there of is fine, thin, patchy and right now short. In a low to mid back ponytail I have about 2.5 inches with the diameter of my little finger. Well here is where it gets good. I was planning on saving the scrunchy until I grew a tad more length, but got curious. Yes I put it on, yes it held, and yes it worked admirably. It gave me a modest pouf! OH SHE OF LITTLE HAIR, had the appearance of hair! Going to buy at least one or two more. Its one of those things I think would be handy to keep a spare one of. I am overwhelmed. Now as soon as I figure out the ins and outs of wrapping and a shaper, the sky is the limit. Thank you Wrapunzel for being here. 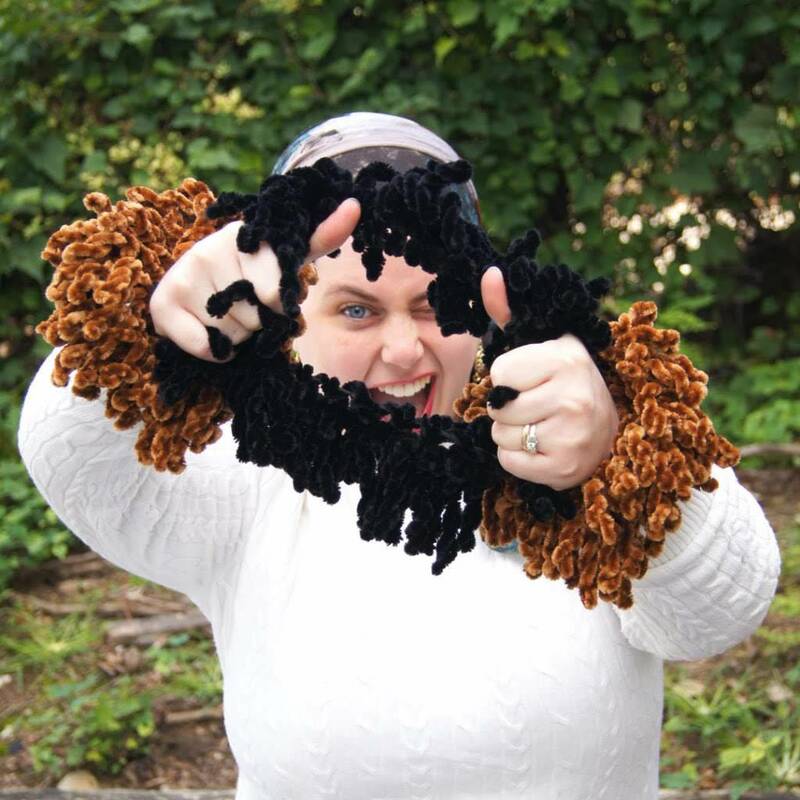 I had to take a minute to review this scrunchy. This is exactly what I have been searching for to wear on a daily basis to give my bun shape. I have extremely thick hair which makes a large bun. I found a way to make a signature shaper work, but this is much more comfortable. My scarves now look perfect in the back. It fills in the gaps and gives my bun a beautiful, rounded shape. I wish I had purchased more because I’m going to use it everyday! Thank you wrapunzel. Aside from your noble deeds, you supply beautiful scarves and accessories and give each and every wrapping woman exactly what she needs. You are the best! I love this! It’s so much lighter and gives a much more natural look. It’s winter where I live, but I’m sure in summer this, along with a no-slip headband, will be my go to! I purchased the Perfect Pouf Scrunchy in black. I LOVE this scrunchy because it holds my very fine thin hair in place without breaking the ends. I loved the fact that I could wear just this and the no slip headband without the need for a shaper underneath my scarves. I intend to purchase two more of these. Thank you for introducing a valuable product for those whose hair is extremely fine and thin. The designer of our amazing Wendy Beret Volumizer strikes again! Our newest Cloud9 Shaper features a revolutionary cap-style velvet headband with no velcro! Five full inches of Wrapunzel’s best no-slip velvet on top, which tapers to two inches at the bottom – the gripping power is absolutely amazing. It’s light as air, beautifully shaped, and so secure! You’ll be on Cloud 9 – hence the name!